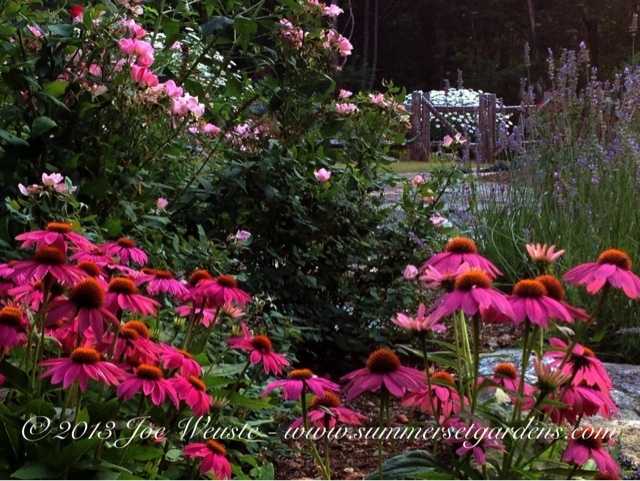 This perennial garden idea is located in the NY Hudson Valley area. A rustic cedar post and rail fence encloses the back yard. Clematis and Climbing Roses soften the fencing. A combination of Shrub Roses, Flowering Shrubs and an assortment of Perennials form the gardens. Landscape, garden design and installation services in the NJ and NY areas.